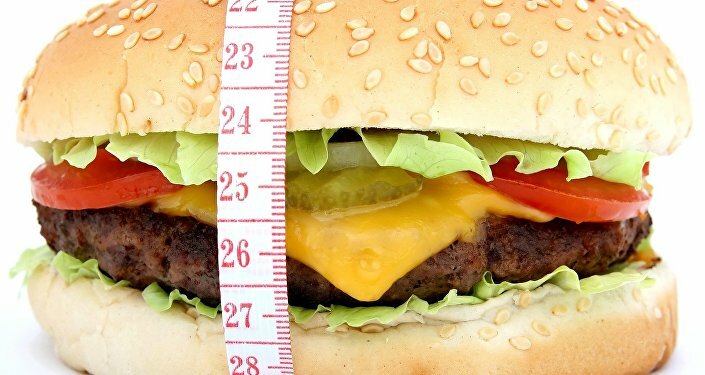 The Royal College of Physicians (RCP) calls on the UK government to recognise obesity as a "disease" rather than a lifestyle choice. Sputnik asked Paul Gately, professor of Exercise and Obesity at Leeds Beckett University, what are the main reasons for the reclassification of the overweight condition. Sputnik: What are the reasons why obesity should be classified as a disease? Professor Gately: Obesity is recognised as a major public health problem: we know two in three adults and one in three suffer from this issue and it's likely to impact on the length of their life and the quality of life. So therefore, even if we look at it from a humane perspective, obesity should be tackled from that perspective. But if we look at it from a societal perspective, we know that obesity costs our NHS a significant amount of money, but also has a major impact on our social care system, and it massively impacts on our economy to the tune of about 27 billion pounds a year. If we look at it from an individual perspective or a societal perspective, it has a profound impact. And therefore any action that tackles obesity is very welcome. Sputnik: Will recognising obesity as a disease really reduce the stigma of having obesity and suffering from its complications? Professor Gately: I think that one of the challenges we face is we frame it as an ‘either or', and it's either a personal choice or a disease, and that's not really the case because we take on board things like heart disease and cancer. We know actually that lifestyle factors drive both of those conditions, and we are very happy recognising those as disease, and we are also very happy about stigmatising people for those two conditions — and it's absolutely right: we don't challenge or upset or ill-wish people suffering from cancer or heart disease in an unfair way. So that's the same for obesity, too: we know that obesity is down to genetics, we know it's down to environmental factors, and we know it's down to lifestyle factors. So, I don't think it's fair that we consider obesity differently from things like heart disease or cancer, and yet we have them for some time. If by identifying obesity as a disease it addresses that, meaning that we ge better action, then that is absolutely a right way to go. Sputnik: What consequences will such recognition have both on individuals and on the NHS? Professor Gately: For individuals: we need much more action. At the moment there is almost no provisions for tackling obesity in our NHS, and no provisions across our local government, and that's because our government have not prioritised obesity as an agenda to tackle. So if you are anywhere in the country and you are suffering with obesity, then it's very unlikely you are going to get the help that you need. And that is a major problem, because the impact of that on the downstream costs, i.e. heart disease, dietary cancer, dietary diabetes which are a big cost for our NHS — the NHS keeps talking about the need to prevent and invest in prevention, but then it doesn't because our government aren't prioritising this as an agenda. Sputnik: Should schools primarily tackle the obesity issue? Professor Gately: Schools being the only place to solve this won't work. It's got to be schools, it's got to be work places, supermarkets, it got to be all the different ways in which we tackle obesity as a major problem. It's a complex problem and therefore it needs a complex solution, and as schools are part of that mix, so are work places and hospitals, and every environment needs to see how it can shift its influence on the factors that drive obesity.